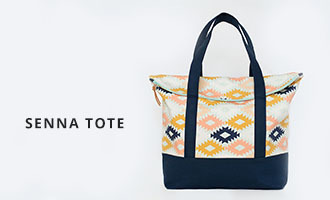 the senna tote is in the shop! 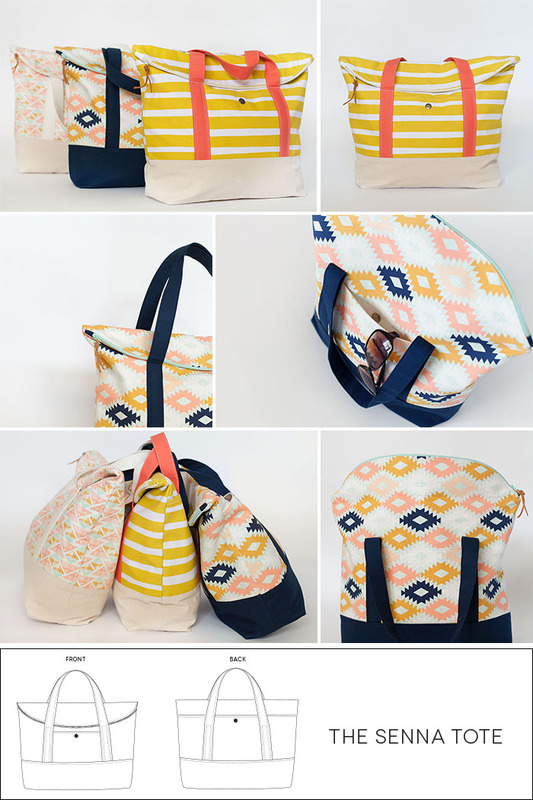 The Senna Tote pdf sewing pattern is now available to buy! The pattern includes an 18 page detailed and fully illustrated step by step tutorial with lots of helpful tips. Make sure to grab your copy now so that you an take advantage of special intro pricing - the pattern is only $8 until 7-11-2014. 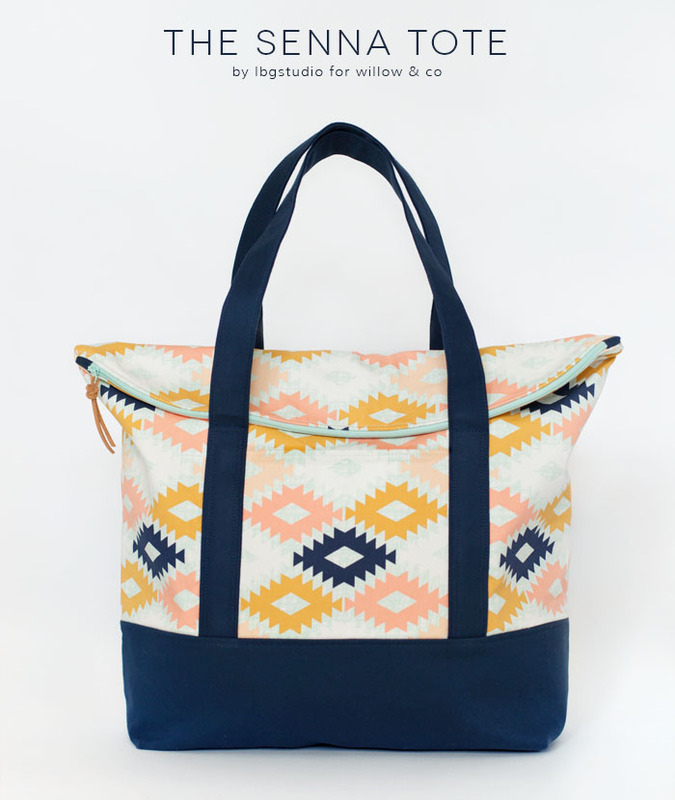 The tote features a medium sized front pocket, a large back pocket, and a large divided inner pocket. You can choose either magnetic snaps or jumbo prong snaps to keep your pockets securely closed. 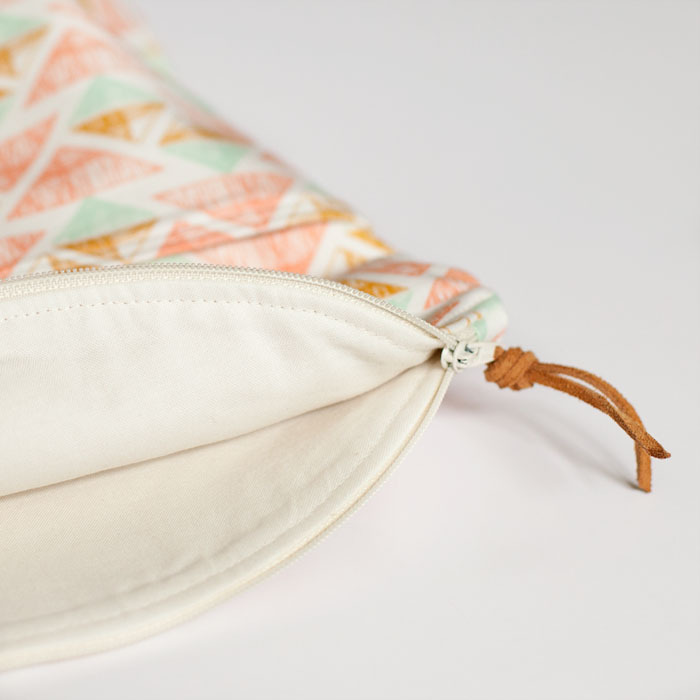 The tote also features a curved zipper closure which folds over. 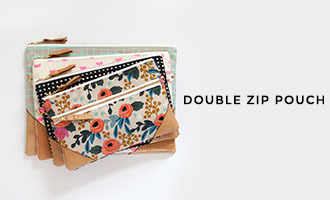 The fabric combination options are endless! For finished measurements, fabric requirements, and a supply list - head over to the pattern listing here. 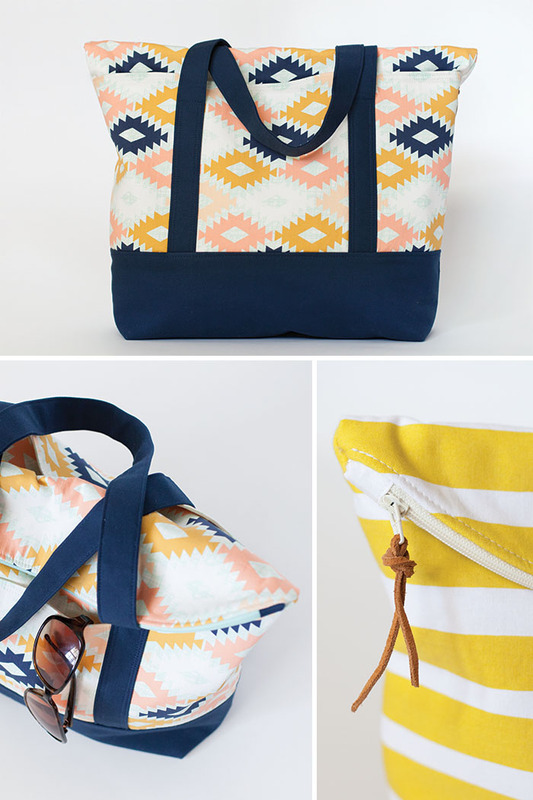 I absolutely love this bag and your fabric combos are amazing! Will be hard to top! What does it look like inside? Any pics? Pockets? I love this: just wondering: can we make the straps ourselves out of the bottom fabric?? or does it have to be strap material?? thanks for the answer! Great Design! And I love the fabrics you chose to showcase it! Looks great! Love a larger bag. I just checked out the pattern and would also ask, like the other commenter, are there any pictures of the inside? I don't need detailed ones just maybe a pick how the edges or top look. Is the lining hand sewn in or does the pattern call for machine finish? Thank you! Just saw this was finally released!! I got it and can't wait to make it. Thank you!!!!!! Recently bought this pattern and anxious to make it. Hi I just bought the pattern. I'm new to bag making for the life of me can not figure out the canvas interlining part. Is the interfacing and this canvas interlining both use for each piece. Hello! 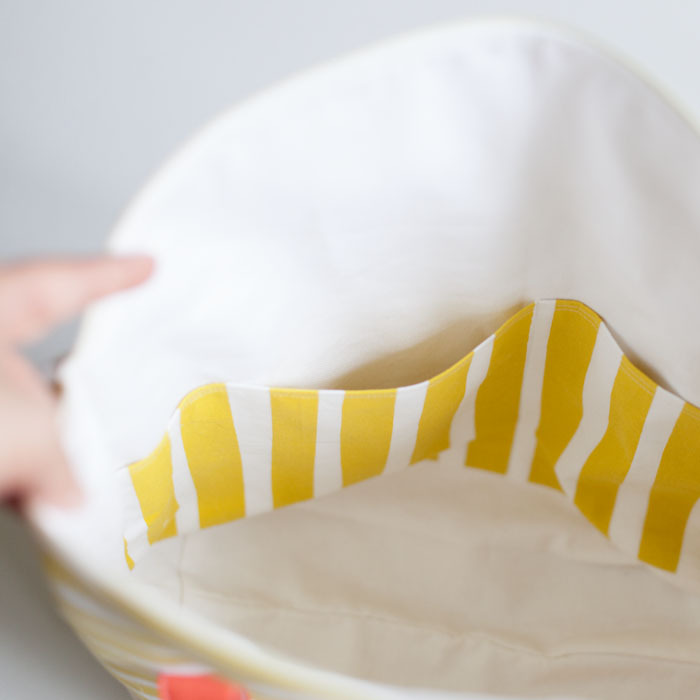 The canvas interlining is optional but it does give the bag a lot more structure than using interfacing alone. Basically it is a layer that goes between the main fabric (with interfacing fused to it) and the lining. You baste it to the interfaced main fabric and then sew as directed. Hope that helps.